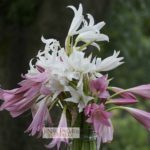 Send a Giant Crinum Lily Gift Pack for Mother’s Day! 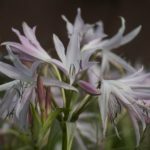 This crinum is perfect for a tropical-style garden. Its huge flowers and sculptural leaves look great from April through the winter months. Growing Conditions: This plant grows in normal garden soil and in areas which flood frequently. I’ve grown it with bog plants like Alligator Flag and also in the baking-hot parking lot of the Florence Museum. 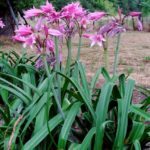 Flowers: These flowers have a modern pink color. They open gracefully and become eye-catching from a distance. This plant reaches to heights over four feet. Tall, thick stems hold flowers upright – even in storms. This makes for a killer single-stem flower arrangement. Flowering Season: This plant begins to bloom in mid July in Zone 8. Blooming begins later in colder zones and earlier in warmer zones. 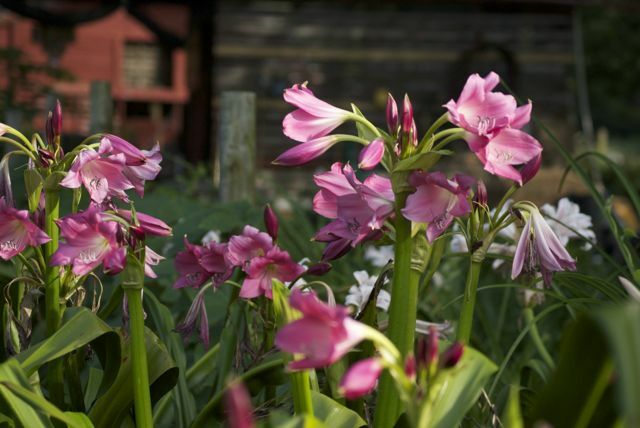 Leaves: Unlike other sub-tropical perennials, crinum leaves look great through late fall. Rose Parade’s leaves can reach a width of six inches. 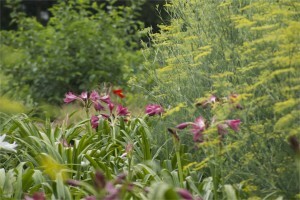 How To Plant: Plant at a depth of eight to ten inches and three to four feet apart. Where To Plant: Use Rose Parade with other full sun, tropicalesque perennials, such as canna, purple heart, or soft Mexican bamboo for a dramatic contrast. 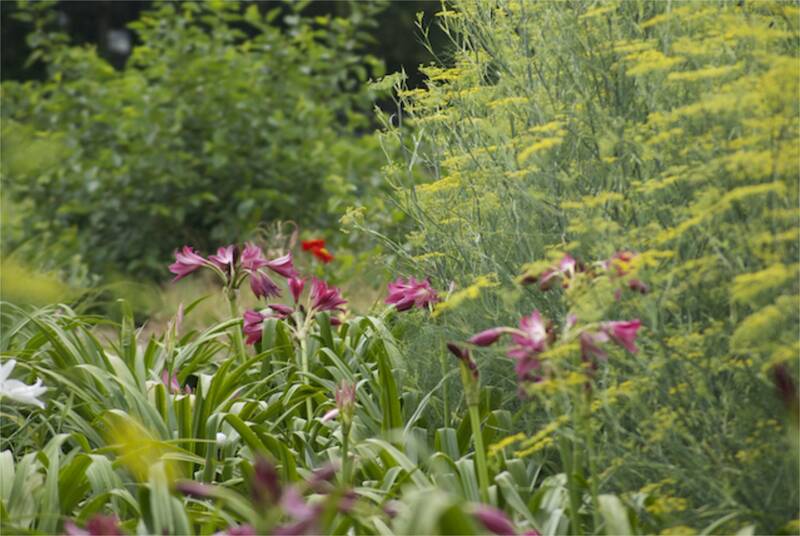 You could also make this plant a focal point – a clump alone in front of a dark hedge can be like a sculpture. Our Bulbs: Our bulbs are baseball-sized. 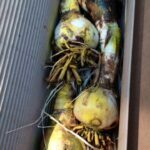 We dig, wash, and ship them with living roots. Be the first to review “Rose Parade” Click here to cancel reply. © 2019 Jenks Farmer. All Rights Reserved.